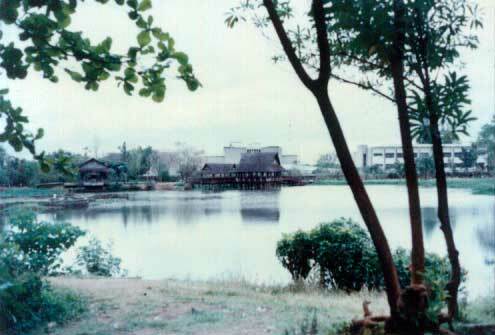 This lagoon is part of the Ninoy Aquino Parks and Wildlife. I took this picture using my pre-owned SLR camera in 1990 as part of my subject requirement. More info about Parks and Wildlife here. Click the badge for more Watery Wednesday entries. This entry was posted in Parks, Watery Wednesday and tagged lagoon parks and wildlife, Ninoy Aquino Parks and Wildlife on July 20, 2011 by Yami.